Hatton Garden is open for business. Home / Spring is here so lets move on now …. Hatton Garden – once described by The Independent newspaper as the most romantic road in the world – is open for business. It cannot have escaped your attention that a tragedy hit Hatton Garden over the Easter/Passover holiday. The Safe Deposit Company, a reliable and well-managed business established over 60 years ago, suffered a spectacular robbery. Crime is a rare phenomena in Hatton Garden. We are a village, a big, global family of specialist diamond dealers, experts in precious stones, craftsmen and women and designers. We are careful who we talk to and we choose our business partners with the same attention to detail that we use when we design and create the beautiful jewellery that you see in stores across the world. Hatton Garden is actually a very safe place to do business. In any robbery it is the innocent who suffer and this robbery has hurt everyone who lives or works here. But we are careful and it doesn’t happen very often. Hatton Garden is a centre for small independent businesses, not a haunt for the mega rich. 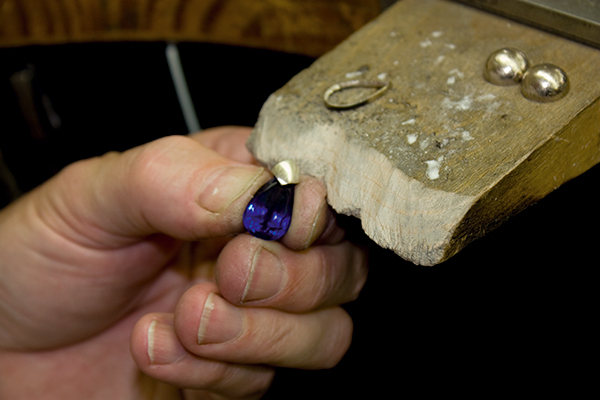 Within less than one square mile you can find, or have made specially for you, stunning jewellery, gold or silverware, created by craftsmen and women whose skills are the envy of the world. It is a very fine, world class, centre of excellence. As I write, the sun is shining on what we hope will be one of many more perfect spring days. When the journalists have gone chasing their next hot news story, we will still be here providing the same superb service for which we have become famous over the last 150 years.